A: State statute does not specify what qualifies as an excused or unexcused absence and simply leaves it to local boards to define. The AASB model policy likewise defers this capacity to local boards and specifically the board chair in making the determination. Here are three examples where districts have made an effort to provide both the board and the public with information or a more defined sense of determination. The Regional School Board considers regular attendance at meetings of the Board to be of the greatest importance to its functions and operations. The Regional School Board realizes that some absences by members from meetings are unavoidable and establishes the following guidelines for determining excused and unexcused absences from meetings. Excused meetings are: family emergency, illness of members/family, scheduled hospital and medical appointments, weather and acts of God, and certain conflicting meetings. Unexcused meetings are: Failure to notify the board chairman seven (7) days in advance. The judgment of the Board Chair will be considered official in determining excused and unexcused absences. In making such a determination, s/he may ask for documentation if deemed necessary. The School Board has broad but clearly limited powers. The exercise of its authority is restricted to the functions required or permitted by law, and then only when it acts in a legally constituted meeting. Individual Board members shall submit requests for research or administrative studies to the entire Board for consideration. The Board is the unit of authority. An individual Board member is a part of the governing body which represents and acts for the community as a whole. Apart from the normal function as part of the unit, the Board member has no individual authority. No individual member of the Board, by virtue of holding office, shall exercise any administrative responsibility with respect to the schools; nor, as an individual, command the services of any school employee. Individually, the Board member may not commit the district to any policy, act or expenditure. No members of the Board shall be asked to perform any routine or clerical duties which may be assigned to an employee, nor shall any Board member become an employee of his/her district while serving on the Board. A Board member should resign from the Board before seeking to secure district employment. In no event shall a final decision for hire be made prior to receiving the Board member’s resignation. Board members who visit schools of their own volition have no more authority than any other citizen. Board members have authority only in regularly called meetings of the Board, or when delegated specific tasks by Board action. Members of the Board must endeavor to attend all meetings, study all materials presented with the agenda prior to attending the meeting, participate in the discussion of any items which come before the Board, and vote on all motions and resolutions, abstaining only for compelling reasons. If a Board Member knows they will be unable to attend scheduled meetings, work session, or committee assignments they must notify the Board President or the Superintendents Office of this intended absence. If a Board Member notifies the Superintendent’s Office with a request for an excused absence, this information will be communicated to the Board President for his/her decision and action. The Board member should not subordinate the education of children and youth to any partisan principle, group interest, or the member’s own personal interest. The Board member should be prepared and willing to devote a sufficient amount of time to the study of the problems of education in the district, the state, and the nation in order to interpret them to the people of the district. no longer resides within the boundaries which he/she was elected to represent and a two-thirds vote of the School Board declares the seat vacant. The school board shall declare a vacancy on the School Board for any actions which disqualify a member from service in accordance with state laws and local ordinances. Three consecutive unexcused absences from regular board meetings shall be sufficient cause for the School Board to declare a School Board vacancy. 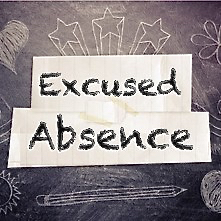 Board members may request in advance that an absence beexcused by notifying the Board President and the board staff person of the reason for the anticipated absence. At the beginning of each regular meeting, the Board President will announce whether the absence of any member is excused or unexcused. A majority of the Board may overrule the President’s decision as to whether an absence is excused. A vacancy on the School Board shall be filled within 30 days of the vacancy by School Board appointment. When making an appointment to the School Board, the School Board desires to draw from the widest possible number of candidates. Advertise the vacancy in suitable local media. 2. Solicit applications or nominations of any legally qualified citizen interested in serving on the School Board. 3. Provide candidates with appropriate information regarding School Board member responsibilities. 4. Announce names of candidates and accept public input either in writing or at a public meeting. 5. Interview the candidates at a public meeting. 6. Select the provisional appointee by majority vote at a public meeting. The person appointed shall hold office until the next regularly scheduled election for District School Board members and shall be afforded all the powers and duties of a School Board member upon appointment. Visit the Ask AASB page for more answers to frequently asked questions.